Michael Kibbe holds an MA in composition from California State University Northridge and has held a faculty position at Cameron University, in Lawton, Oklahoma. He currently resides in Los Angeles where he has been active as a performer, arranger, and composer. His creative output encompasses over 220 concert works in a variety of genres, including a trombone quartet, Rotunda Quartet, Op. 242, which is also published by Potenza. Kibbe’s compositions have been performed throughout the United States, Mexico, Europe, Israel and China. 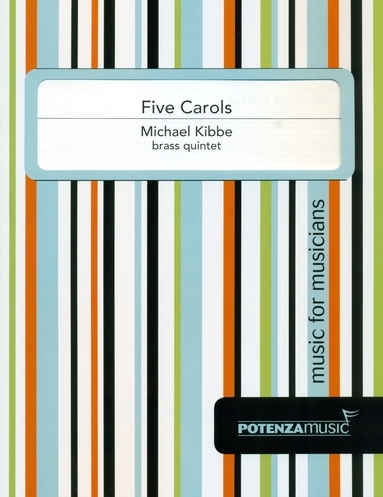 This is an arrangement of a medley of carols: I Heard the Bells On Christmas Day, Bring a Torch Jeanette Isabella, Good King Wenceslaus, O Little Town of Bethlehem, and Joy to the World, with short transitions between them. The settings are quite traditional and are sight readable by a good, undergraduate quintet.